The “Féderation des élèves du réseau polytech” (FEDERP) is a student association that has the role of federating and forming all student associations in the Polytech network but also of informing the network about any news concerning engineering students and finally of nationally representing the Polytech network. On the weekend of the 26th of October the FEDERP, presided by Catherine Arnaud-Banse of Polytech Grenoble, held its annual congress. 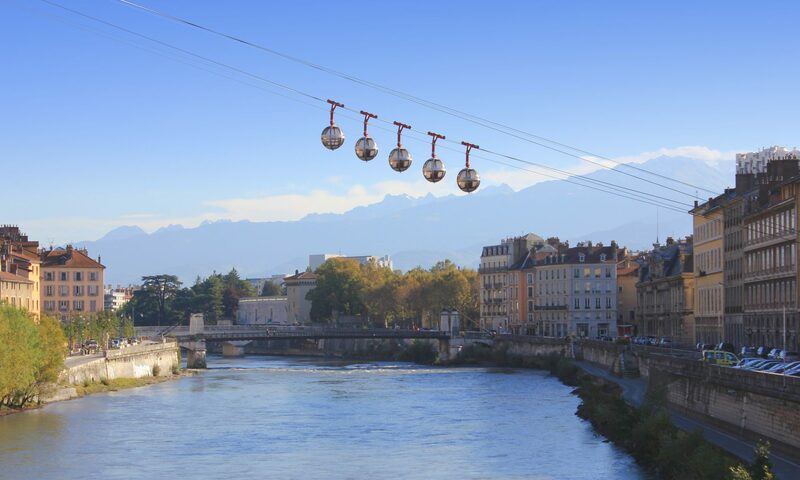 During the congress, student representatives from each of the 14 Polytech schools were invited to attend conferences and attend training at Polytech Grenoble. The turnout was of 170 student representatives. The weekend kicked off with students arriving throughout the evening of Friday 26th of October and gathering at the VnB, to socialize. The VnB is a beer and wine bar which is a local favorite for Polytech student afterworks due to preferential prices and thanks to it being close to Polytech Grenoble. The evening was a calm beginning to the weekend but it was what could be expected with participants having classes during the day and some having to travel up to 10 hours to get to Grenoble. The congress was opened by three conferences of 20 minutes, beginning with Ms.Delpeche, headmistress of Polytech Grenoble, followed by a couple a external speakers. After there was a conference done by the Alumni. These conferences were all very formal and were simply the signal of the start of the congress. Most students focus was on the coming afternoon and the Sunday morning for the training. 23 training courses were available, covering various subjects : Organising events, insurances, internal and external communication etc… Students were free to assist the training courses they wished, however some courses were overcrowded while some lacked presence. The training courses were done by the FEDERP, the BNEI (Bureau national des élèves ingénieur) and some external speakers. The quality of the courses were high and the speakers were always available for any questions that the students had about their roles and provided clear answers. From friday night to Sunday morning all accommodations were catered for by the FEDERP, that being 2 nights in a hotel and 4 meals for a total cost of 35€, which is an affordable price for students. However, with plane and train prices so high and with blablacar prices always rising, the weekend could cost a lot more for students coming from far due to travelling costs. The meals were simple but very sufficient. Overall the Congress can be considered as a success, the turnout of 170 people is very high considering the travelling necessary to get to Grenoble. The training courses offered were of good quality and the FEDERP offered good accommodations and food. Everything went to plan and I asked over 20 people how their congress went and all had only positive answers for me. Not only does this event prepares students correctly for their mandate in their respective associations but it also allows students to form a network all over France which socially and professionally is a huge for future careers.